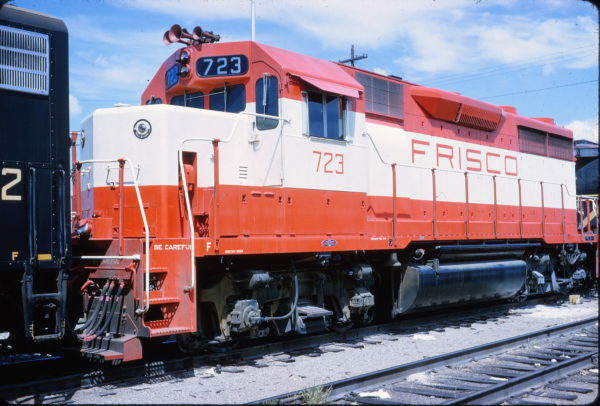 GP35 723 at Memphis, Tennessee on August 1, 1965 (William White). 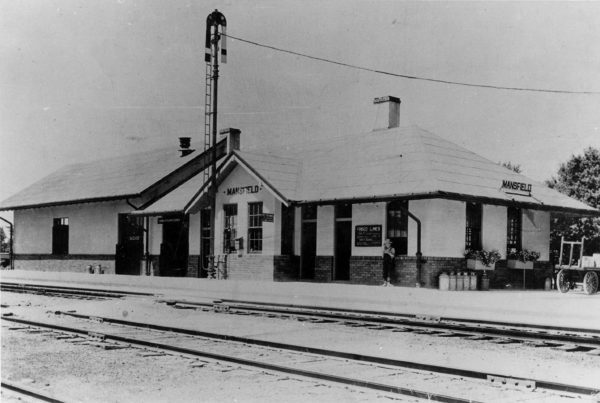 Mansfield, Missouri Depot (date unknown). U25B 815 at Rosedale, Kansas on August 3, 1980 (Mike Vana). 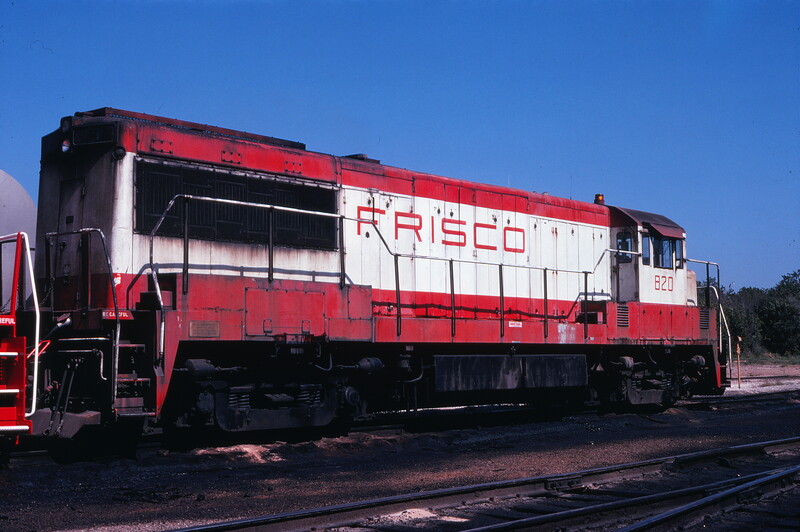 U25B 820 at Springfield, Missouri on September 18, 1978. NW2 265 at Tulsa, Oklahoma (date unknown). 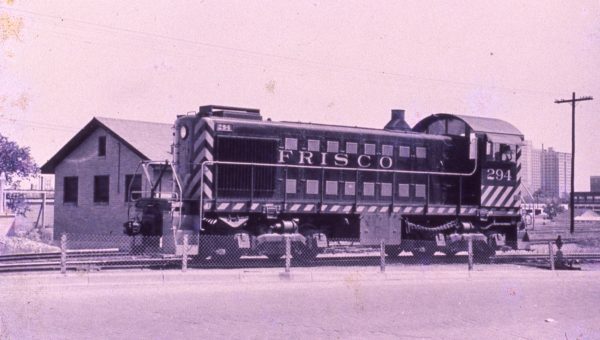 This photograph was taken at the Mechanical Department’s locomotive service tracks area at Cherokee Yard. To the south, out of view to the right, is the diesel shop at 2400 South Union Avenue. This is a winter season shot. 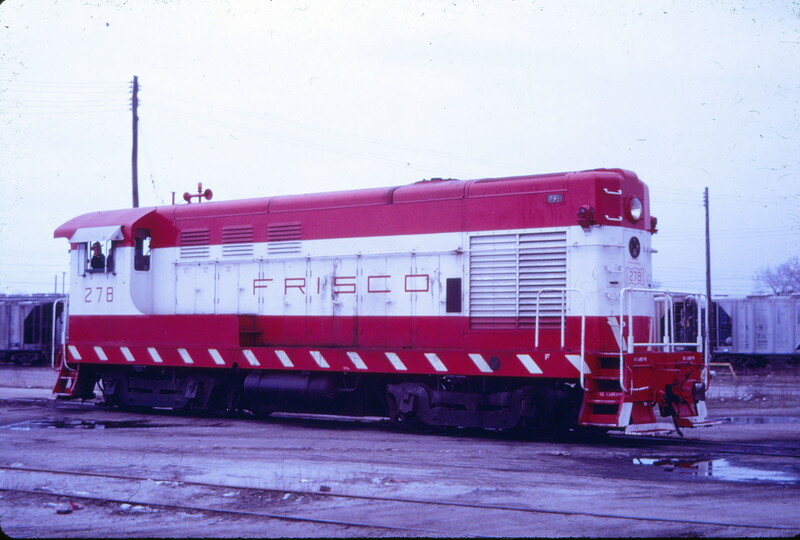 On the locomotive is a lowered canvas tarp over the front intake grill. In this position it restricts the inward air flow up and through radiator core fins. This resulted in warmer radiator coolant and cab heaters. 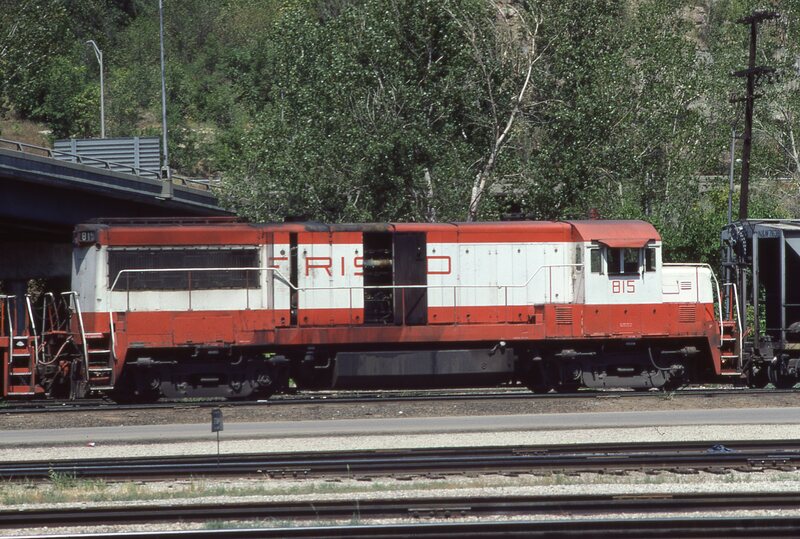 On the locomotive cab front, below the horn, is an added metal sunlight shade. Also, note the newer rear louvered carbody door. Unlike the other doors which feature mid height twist style single handle latches, this door has two newer style clamp latches in the upper and lower corners. Frisco replaced, on their early EMD switch engines, the former non-louvered doors, one on each side, to improve ventilation cooling around the electric main generator. In the distance to the right of the locomotive is the shed roof over the yard’s repair in place (RIP) track facility. Freight cars are spotted at the car department’s RIP tracks to facilitate running repairs. 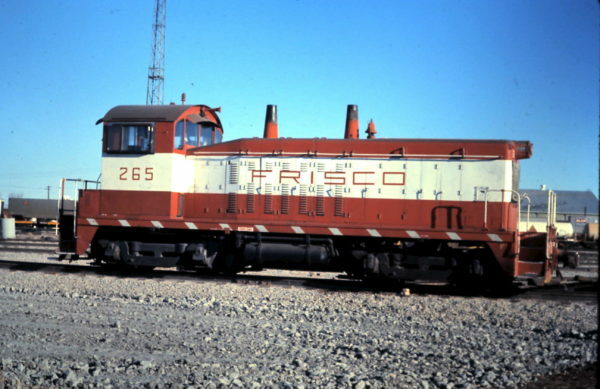 S-2 294 (date and location unknown). 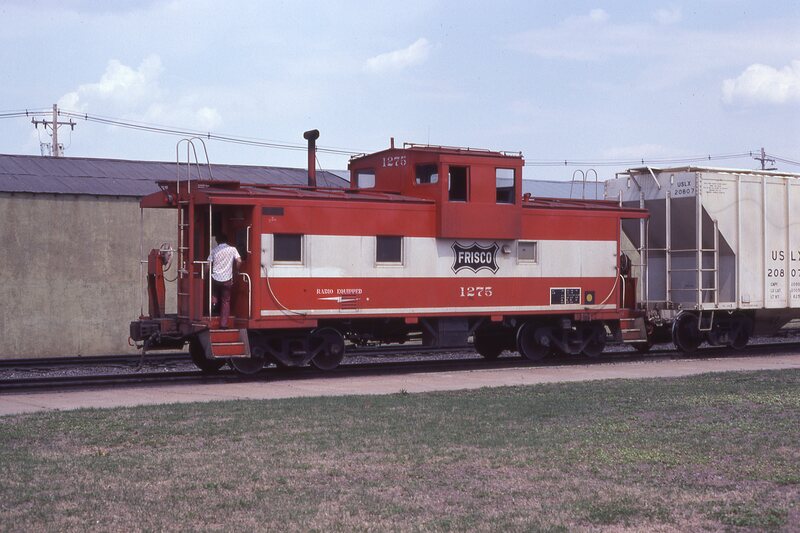 U25B 819 at Springfield, Missouri on September 18, 1978. 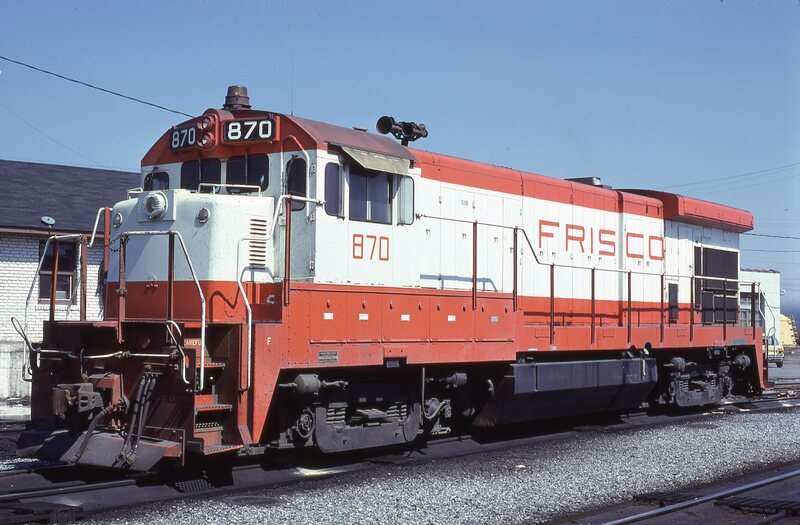 B30-7 870 at Atlanta, Georgia in April 1980 (Lon Coone). H-10-44 278 at Tulsa, Oklahoma (date unknown) (Mac Owen – Blackhawk Films).